Somalia pirates have hijacked a Saudi supertanker – the largest ship ever seized – along with its crew and oil cargo worth around 100 million dollars. The giant tanker's capacity is two million barrels, which is more than one-quarter of Saudi Arabia's daily output. News of the attack made crude oil prices jump on global markets. 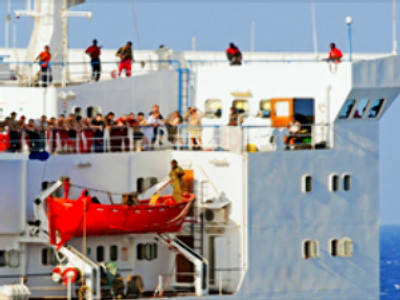 Pirates boarded the Sirius Star roughly 400 miles off the Kenyan coast, holding its 25-strong crew from Croatia, Britain, the Philippines, Poland and Saudi Arabia hostage. The US Navy says the pirates are taking the hijacked vessel for anchor off Somalia and response teams are heading to the scene.